With a trailer fit for the FIFA World Cup, Tomorrowland has just confirmed their official live stream for this year’s event. Now, despite all 180,000 tickets to EDM’s biggest festival selling out within an hour, fans won’t have to miss out on a single minute of the action. This weekend, from July 24th to the 26th starting at 19:00 CET, ravers can tune in and watch their favorite DJs grace the stages of this truly epic party. 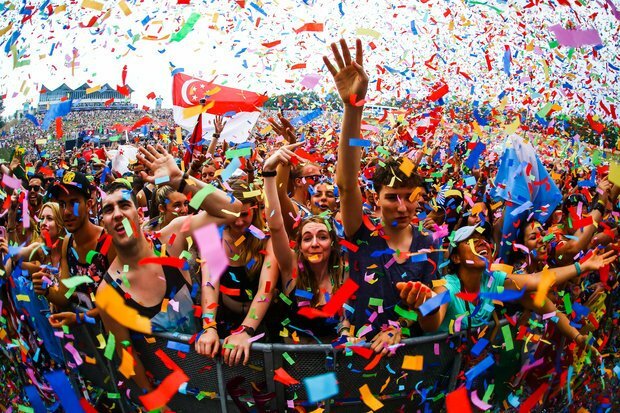 Powered by Live Media Group’s flagship application, NowLive, fans will be able to simultaneously view four stages on the official Tomorrowland Live App, and toggle seamlessly between social media outlets via the Social Stream. The app is available via the App Store or Google Play, and promises fans the opportunity to be “an active participant rather than just a passive viewer.” Featuring staples such as Green Velvet, Armin Van Buuren, Dillon Francis, Tiësto, and more, 2015 is sure to be another masterful notch in the history of the festival. Check out the set times on the official website and watch the official Tomorrowland live stream right here.